What to pack for Kenya safari. All the lodges and tented camps have great and often complimentary laundry services, which are able to return clothes the same day. On Game Drives a mix of long and short pants goes – a good compromise are those trousers that zip apart at the knee to become shorts. Long sleeved shirts are ideal so you have the option of rolling up or down. How I gauge the clothes I bring on safari is to take, four sets of clothes that can be inter-changed, if you are going to the ocean then pack something nice to wear for dinner, but on safari your day time clothes are good for dinner wear, no dressing up, no high heels, nothing fancy. It isn't necessary to go out and buy safari pants, or safari shirts, shorts , things you wear for casual wear at home will work for you while on safari, jeans, t-shorts, shorts, tennis shoes. Game drives in the early morning and early evening tend to be chilly so you will need to have a fleece or light jacket at these times. For guided bush walks the same type of clothes apply well and lightweight boots with a bit of ankle support work well. Light and slip on shoes are also useful in and around the lodges and tented camps. What colours: Earth (natural) colours are probably best. Basically it’s not a good idea to wear bright colours or white on safari, although around the lodges, tented camps and on the beach anything goes. Hot Air Balloon Ride. Balloon Ride. Not only does visiting some of the most varied game-filled wildlife attractions in Africa create priceless, and memorable experiences, experiencing it from a bird’s point of view is a totally awesome and unique way to seize. A feeling which is indescribable, crispness of the African air, chill in the wind that hits your face as your Masai Mara or Serengeti hot air balloon gradually rises, smoothness in the exhale of your breath, and the excitement to see and learn more. One’s physical presence can be felt on the plains of the Serengeti Mara ecosystem when reading this. Your trip begins when you get your wakeup call at your safari lodge in the heart of the Masai Mara or Serengeti in the early hours of the morning, as you yawn away, and thoughts about your wildlife viewing from an elevated position begins to stir your mind. The fresh Tanzanian traditional hot tea and coffee quickly awaken you, in fact preparing you for a mission. By 06h00 you are almost arriving at the hot air balloon site in the Serengeti. As you approach the site, the balloon seems bigger than you expected, the experience is one of that has never been visited, and you are about to have a trip of a lifetime. Liftoff! Up and away we go! At 6:15 a.m. the hot air balloon safari starts. The captain asks you to relax and experience the wonders under the African sky. As you finally start to get a grip on the elevation, an inner smile that resonates on one’s face does not need an explanation. The wildebeest moving in large numbers across the Serengeti plains, the beauty of the landscape when the rising sin’s bright orange colors are displayed, the elephants at the water pool, and the gazelles and zebras scampering away, just if it was their first time to witness an alien object in the sky. By 7:15 a.m. one is very content with balloon safari, and it is almost touch down time. There is celebration, and for those who prefer a toast, champagne is served as hot breakfast in the bush is being prepared. You ask yourself, is this true? I am really doing this trip of a lifetime in the Serengeti/ Mara Ecosystem? As the sweetness and aroma of the African coffee or tea surrounds you, with fresh eggs being served as you like it, you hope another ride, and wish that such luxury never ended. By the time you finish your Serengeti bush breakfast, you have made up your decision to immigrate to Tanzania because such life is only found here. You begin to question yourself, and you feel an urgency to seek, live and enjoy this pristine beauty, a once in a lifetime “thing”. By 9:00 a.m. you have been declared a champion, a mighty certificate of completion handed out to you which you hope to display in your home country, to family, friends, coworkers. Clapping and participation by everyone present makes you proud to have achieved a trip as wonderful as this. By then, you hear a blaring sound of music or even an annoying buzz; you turn around and switch of the alarm clock. Your eyes wide open, you know that you have to get back to Kenya or Tanzania; again otherwise the recurring dreams will drive you mad. Hot air balloon safaris. Best Time to Visit Kenya. January to March, when the weather is hottest and driest created the overall best time to visit Kenya as it is teeming with life just after the short rains that happen from early November to early January, the animals in the wildlife parks tend to congregate more around watercourses, making the easier to spot and capture great shots. From July to October, the Great Wildebeest Migration takes place, with thousands of animals streaming into the Masai Mara National Reserve from the Serengeti. During April/ May and November the rains fall and can turn the roads into marshes and make game drives rather crisis activities in the parks. We rather like to avoid the parks affected and focus on other areas as Kenya has such a diverse ecosystem that it’s possible to find great places to visit no matter what period of the year. At wildlife rich regions in the northern Kenya, such as Laikipia & Samburu National Reserve, the rains don’t affect your safari, but may make it more of an adventure to find wildlife. The most ideal times to visit for great game is the cooler dry season between July and October and the hotter dry season of December to March. The Southern sector of Kenya which comprises of Amboseli, Tsavo East and West National Park is best explored during the dry months of June through to end of October before the fall of the short rains in November & December. January to end of March is also very rewarding when these parks are full of life creating some great photo opportunities and wildlife watching experiences. April through to May we have the long rains and make the roads unpredictable in the park. Tour holiday safaris traversing through Kenya and Tanzania best game parks, with a chance to see East Africa’s rich wildlife and cultural heritage. Explore the best of Kenya safaris, Tanzania tour safaris, Uganda holidays and Zanzibar beach holiday vacation. All the tour safaris have prices to guide on budget. All the hotels have prices to be able to compare and choose. Detailed safari tours and travel packages to save time on planning. Personalized Africa wildlife safaris, Private, group camping safaris and beach vacations. Hotels, Tours and Flight Recommendation from our African Travel Experts. How to join holiday tour safari groups to enjoy shared reduced prices. Free Advise on what best suits your safari needs and budget. When and how to do Kenya safaris and other tours. Kenya safaris and Tanzania safaris. Africa adventure tours and safaris. Starting from the Kenyan coastal beaches and marine parks where you can whet your appetite for sun and marine life, moving up to the Tsavo Reserve which are laden with a variety of wildlife and home of the “Man-Eating Lions”. To the capital where you can visit the only protected game park in the world that is separated from a metropolis by a mere fence, the Nairobi National Park. Explore part of the Great Valley with visits to Lake Nakuru which is abundant with flamingos, the ever active Lake Bogoria and get to scale the great Mount Kenya . 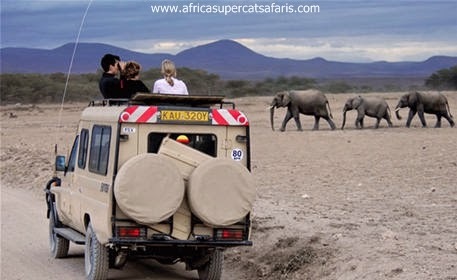 Moving on to the Amboseli National Park which is dubbed the 'Land of the Giants' due to the huge population of African Elephants, as well as the spectacular view of the Mount Kilimanjaro, the tallest mountain in Africa. But that is only the beginning, as you are yet to experience the Mara National Park which is home to the Great Wildebeest Migration , the seventh natural wonder of the world. The Lake Victoria which is the world's second largest freshwater lake offers a variety of big game fishing and is a bird sanctuary. The arid Northern part of Kenya houses the Samburu National Park, which offers a diverse range of game and plant life and of course the Lake Turkana, also known as the 'Jade Sea' whose beauty cannot even be explained in words. It is also the home to the cradle of mankind. 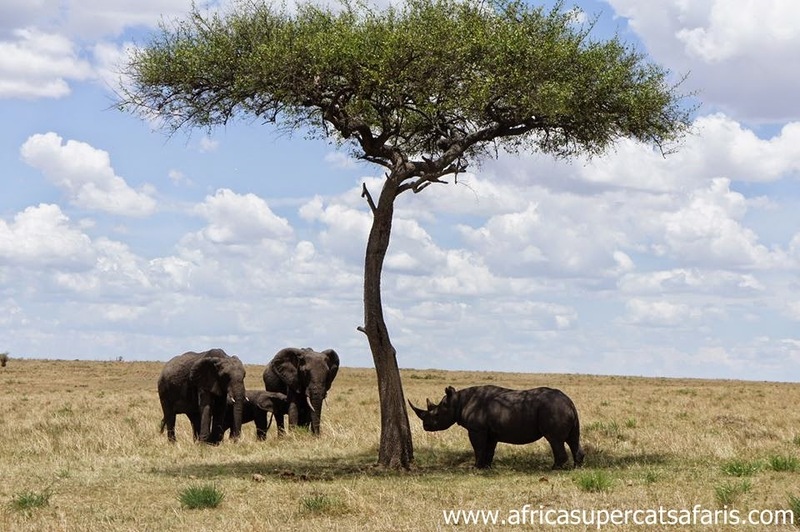 Why Join a Group Tour in Kenya? 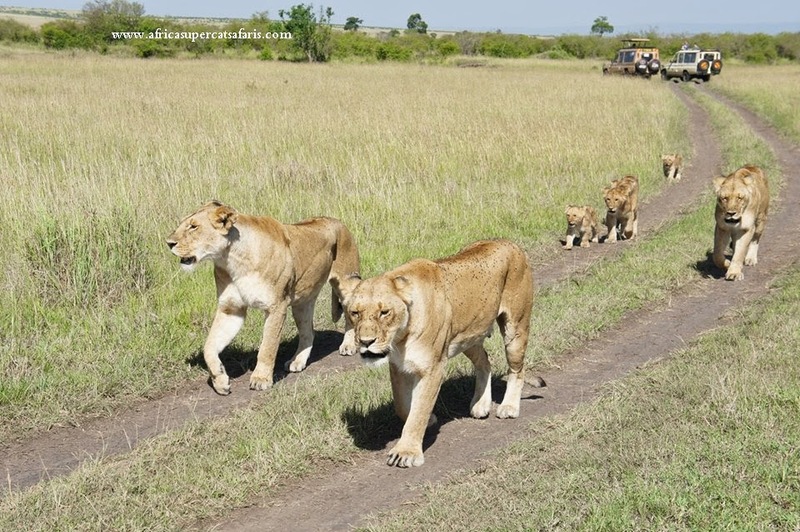 Join a Kenya group tour and save big while you enjoy the company of your fellow holiday makers. You travel in a small group: a minimum of 4 persons and a maximum of 7. As normal rates are based on a minimum of 2 persons, your shared in transport will bring down the cost considerably. You also can create your own group and watch the price per person goes down. Invite your friends from the real world or from other online social network to travel with you. 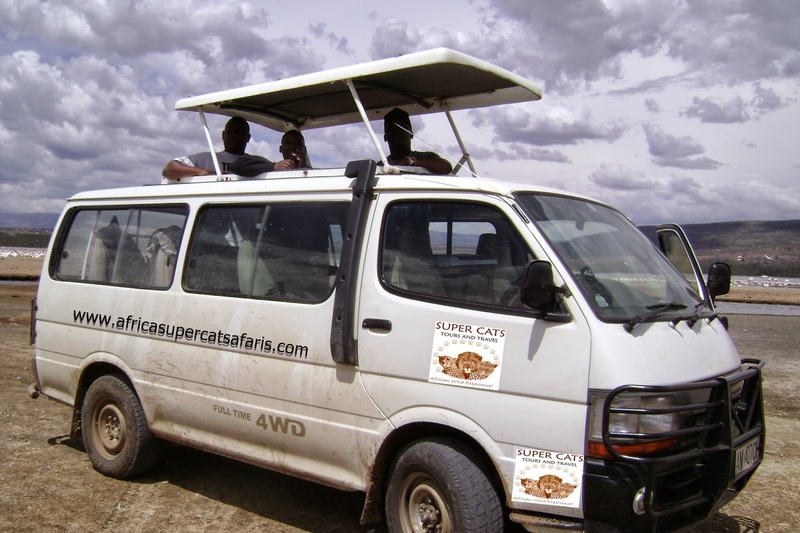 Create your own Kenya and Tanzania group tour safari discount by traveling with others in a tour bus. Budget Camping Safaris in Kenya offer a full range of options including luxury safaris , custom safari, Kenya wildlife tour, budget camping safari and beach holidays . The most popular tour safaris are walking safaris, Mountain climbing in Kenya and Tanzania. 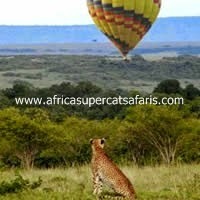 Private safaris includes family holiday safaris Tours, balloon safaris , in Masai Mara, Nairobi hotels bookings and airport transfers. East Africa holiday vacations is never complete without mentioning Zanzibar beach vacations , Africa backpackers safaris, Mombasa excursions , land safari, bird watching tours, group holidays , family package holidays, Africa adventure trips tour and Uganda Gorilla tracking safaris. Wildlife Camping Tours, Photographic Luxury Safaris, Beach Holidays, Mountain Climbing and Flying Vacations. Rich Kenya parks and diversity of landscapes. Hotels, Kenya luxury lodge Safaris, Kenya Budget Camping safaris and Tented camps in Masai Mara, Amboseli,Tsavo and Samburu Camping Safaris. beach Holidays resorts. Safaris tours along the sun-drenched coral coast. Camping safaris are designed for clients who are on budget and ready to adventure on Kenya wilderness safari . We have Mobile and permanent camping safaris depending on your budget and style. Camping safari Accommodation in Masai Mara and other parks . You stay in a tent that has a permanent roof, bed, beddings, hot water shower and private toilet all self contained in the tent. Tents accommodate 2 people of the same gender or couples, 3 persons traveling together or a single person if you wish to have your own private tent at a small fee. The camps are located at the Olomutia and Sekanani gates of the Masai Mara National Reserve . This safari is flexible as it departs everyday through out the year. you can also extend your safari by staying an extra day in Masai Mara if you so wish. Camp has bed and bed linen, hot water shower and toilet in the tent and a permanent roof. There is electricity 6 PM - 10 PM and 5 AM - 7AM to charge your phones and cameras. Food is taken in the dining hall. Camp is fenced off from the main reserve so wildlife cannot access it. There are Masai guards who patrol the camp at night thus it is safe. 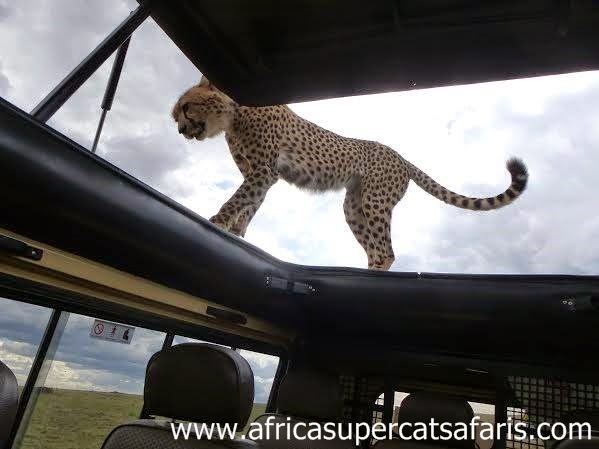 The safari vehicle accommodates a maximum of 7 persons so that every one has a window seat on game drives in the Mara. An idea you can't afford to let it slip. Each year, nearly 2 million animals move through Tanzania and Kenya driven by seasonal rain and drought in what is known as the Great Migration,through crocodile infested waters of theMasai Mara river,the herd cross theMasai Mara from serengeti to Masai Mara Kenya and back for (Survival) of the fitest is the name of the game for this kenya safari. Explore the best of Kenya safaris, Tanzania tour safaris, Uganda holidays and Zanzibar beach holiday vacation as follows. Personalised Africa wildlife safaris, Private, group camping safaris and beach vacations.